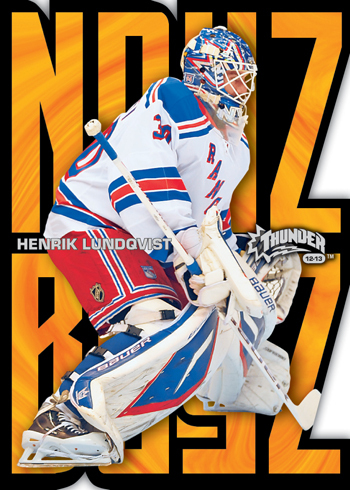 Because Upper Deck was so far along with these products however, fans can expect to see some of the content live on and be distributed in other Upper Deck 2012-13 NHL trading card releases. 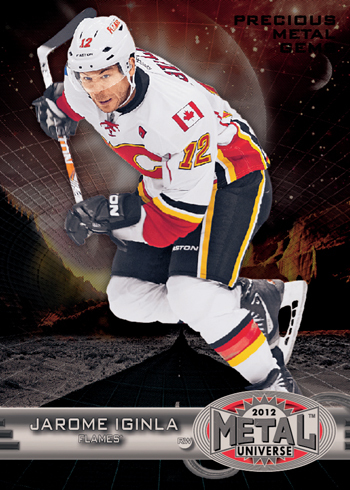 For example, fans will be able to find some compelling content from 2012-13 NHL SPx and 2012-13 NHL Upper Deck Series Two in packs of 2012-13 NHL SP Authentic which is slated to be released in June, 2013. 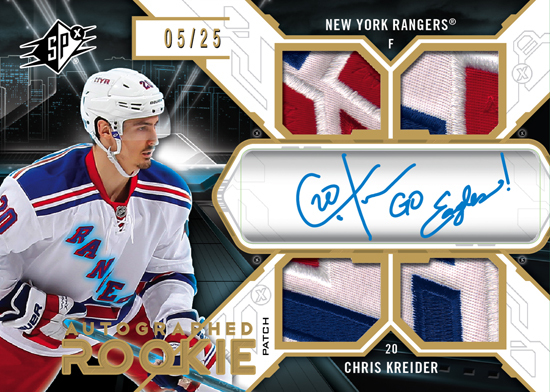 Take a gander at one of the Chris Kreider SPx Rookie Autograph Memorabilia card mock-ups that the design team put together (note: the actual version will be numbered to 30 copies). 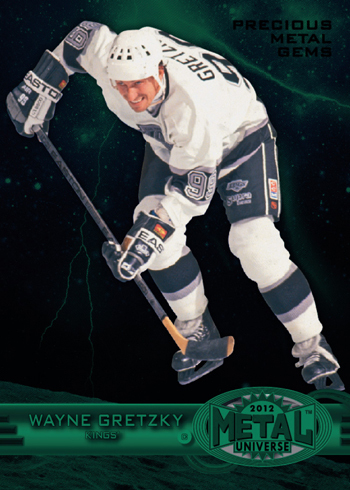 Upper Deck is also excited to announce the very popular Fleer Retro brand will be released in hockey this season with that product arriving in stores in April, 2013. 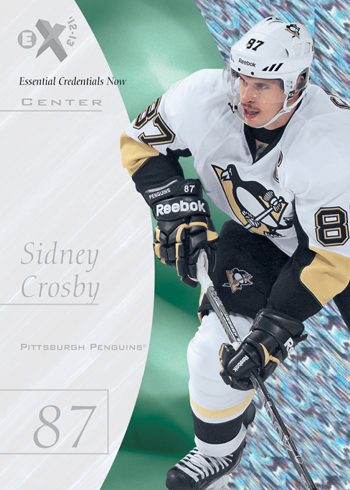 We will be releasing more details about 2012-13 NHL Fleer Retro very soon, but we think fans will be blown away by the compelling content that pays tribute to Fleer’s long legacy of historic insert cards. Take a look at some of the initial mock-ups for the set. 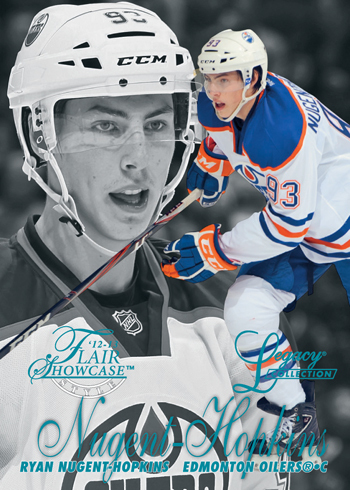 Additionally, Upper Deck’s always popular National Hockey Card Day promotion will return this season as well. Collectors in Canada can score FREE National Hockey Card Day packs from participating retailers on Saturday, February 9 and fans in the United States can get their FREE National Hockey Card Day packs on Saturday, February 16. Retailers and collectors should be aware the products above were produced in limited quantities because of the labor situation at the time. Now that the NHL season is underway, demand on these products will likely be on the rise and once they are gone, they are gone. If you are looking to break packs or boxes of these products, now is the time to get them before inventory dries up and secondary market prices may rise. It is important to note there are some great rookies who appeared in the 2011-12 NHL season that did not have rookie cards until this season. “Hold-over” rookies like Chris Kreider (New York Rangers), Sven Baertschi (Calgary Flames) and Jaden Schwartz (St. Louis Blues) are just some of the “Young Guns” who collectors can find in Upper Deck’s 2012-13 NHL products. 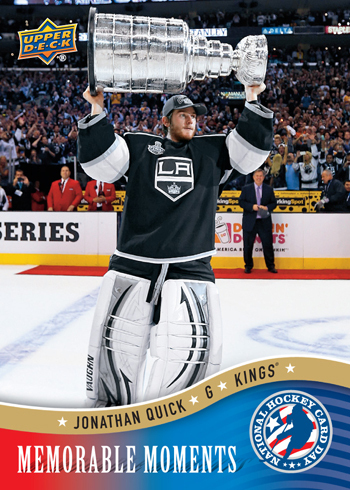 Collectors have shared a lot of questions about Upper Deck popular rookie redemption cards that can be found in 2012-13 NHL Artifacts and also in 2012-13 NHL Upper Deck Series One. We will be sharing details on what collectors can expect for those cards and when we will be able to deliver them to the market soon. We appreciate collector’s patience while we work to acquire approvals for the company’s plans on those programs with league partners. *Product depicted for demonstration purposes only. Set content subject to change without further notice. Excellent idea and a fantastic way to make up for the NHLPA decision to stop production of this season’s rookies….I am impressed with SPX autographed patches design …and who would not like to pull a Jumbalaya or precious gem of their favorite star…. Finish all your 12/13 sets at westTOcardshow on Feb 17th, 2013 google it! It’s a shame that SPx won’t be making it out of the box this year, though I understand the reasoning. I was looking forward to seeing the Shadox Slots used in hockey cards. Maybe those will be one of the cards to sneak into SPA or Fleer Retro. I’m also hopeful that at least the base set from UD Series 2 will make it into the other sets. Without those, it feels like series one is a little incomplete… Some big stars that were to be in the second half of the set would be missing. At least it looks like The Cup will still make an apperance this year. With the folks across the street dropping Dominion this year, that will be the only true high end set this season. If the card is numbered to /15 or /50 .. Do you produce all of them or only some ??? Bugg, we produce all of those cards when they are numbered that way. Will there be series 2 Young guns inserted in these products. I hope not because i have collecter every YG RC since the early 90’s and it would be enough to make me stop buying UD products if I had to spend thousands of dollars for one set. What about Upper Deck Victory? Will there be some in 2012-13 or in the future years?